Pulmonary fibrosis is a chronic lung disease where the tissue in the air sacs (alveoli) in the lungs becomes scarred, making it increasingly difficult to breathe. One of the most common symptoms presented by pulmonary fibrosis (PF) patients is shortness of breath. 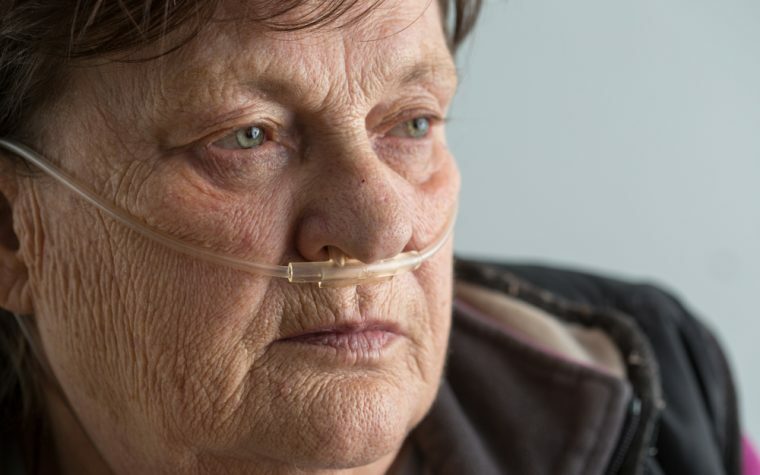 Shortness of breath (or dyspnea) can be attributed to many different lung disesases and generally being unfit, which makes diagnosing pulmonary fibrosis difficult. Once the alveoli become scarred, they become less able to inflate and deflate, this means they become less adept at distributing oxygen to the blood stream and taking carbon dioxide out of the blood stream. This lack of oxygen results in various symptoms including fatigue, ache and pains, and clubbing of the fingers and toes. Dyspnea can be treated using corticosteroids which help to reduce inflammation in the airways. Antibiotics are used to clear up any lung infections and in severe cases of pulmonary fibrosis, patients may need oxygen therapy. Lung transplant is considered a final option when scarring is so severe it impedes breathing. 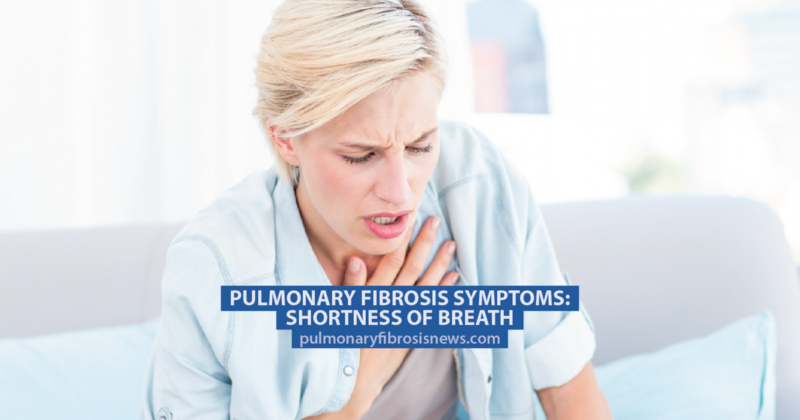 Find out more about shortness of breath in pulmonary fibrosis here. Discover the relationship between pulmonary fibrosis and pulmonary hypertension. Tagged corticosteroids, dyspnea, pulmonary fibrosis symptoms, shortness of breath.